The pill could be blurring your social judgement -- but perhaps not enough so you'd notice. By challenging women to identify complex emotional expressions like pride or contempt, rather than basic ones like happiness or fear, scientists have revealed subtle changes in emotion recognition associated with oral contraceptive pill (OCP) use. Published in Frontiers in Neuroscience, their study found that OCP users were nearly 10% worse on average than non-users in deciphering the most enigmatic emotional expressions, raising questions over the possible impact of OCPs on social interactions in intimate relationships. 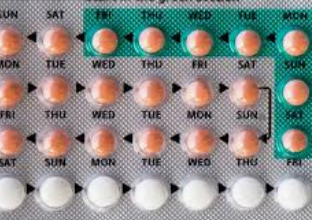 Besides birth control, hormonal contraceptives can help control acne, heavy periods and endometriosis -- as well as reducing the risk of ovarian, uterine and colon cancers. On the downside, the pill can increase slightly the risk of breast and cervical cancer, blood clots and high blood pressure. The results were, as expected, subtle -- but very clear: OCP users were less accurate in the recognition of the most subtle complex expressions than non-users -- by nearly 10%, on average.